The Eichbaum Brewery is located in Mannheim, Baden-Württemberg in Germany. 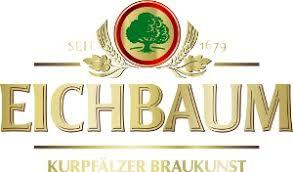 Founded in 1679 by Mannheim's Councillor Jean du Chêne as a tavern and brewery, it is the oldest company in the city. Combining traditional brewing processes and modern brewing and bottling technologies, over the years this tavern has developed into one of the largest and most successful breweries in the region. The unique quality water pumped from 130m deep wells is combined with high-quality barley, hops and selected yeasts to make the base for distinct taste of Eichbaum beers.